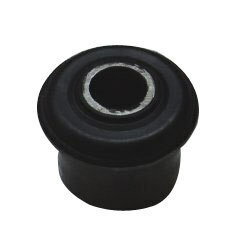 We offer a wide assortment of Suspensions Bushes 206 that is mainly used for automobile suspension purposes. These are fabricated using premium quality material, which is procured by reputed vendors. Thee are widely used to position and aligning the components of steering assembly. We offer these superior qualities Suspensions Bushes 206 to clients at most reasonable rates. We are Manufacturer, Supplier and Exporter of Engine Mountings, Suspension Bushes, Exhaust Rubbers & Mountings etc. The field of automotive engineering is highly critical in nature and entails application of the best engineering solutions and resources. With due consideration of this factor, we offer superior quality Engine Mounts, Auto Engine Parts, Auto Engine Mountings, Transmission Mounts etc. The entire range of rubber parts and components are precision engineered using the advanced technology and ensure smooth execution of heavy industrial works. Owing to excellent features and high operational functionality, our components and parts are drawing increasing demands from all over the world. Our rich industry experience and profound knowledge of the automotive engineering forms the base of our success and existence in the industry. Our wide product range symbolizes engineering excellence and assured for high quality standards and performance. We have the facility to custom designs and manufacture these parts and components as per the requirements of our clients at prices competitive in the global market.